I was able to change the rest of the IDE's fonts (i.e. menus, dialogs, etc.) 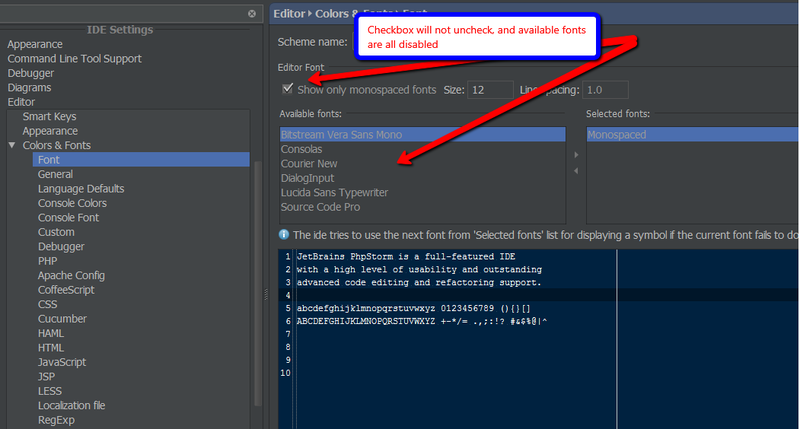 by using the "override default fonts" fields in the IDE Settings/Appearance screen of the Settings dialog. But it doesn't seem to affect the font size of the folder/file tree in the left navbar. The default font there is so small I can barely read it. How can I change that font? UPDATE: I also apparently cannot change the font in the editor. Font in the tree was not configurable in older versions. In the recent versions it should work using the configuration in Settings | Appearance. To change the editor font use the Save As... button as you can't modify the default scheme. For 2017/2018 versions of PHPStorm it's under menu item PHPStorm > Preferences > Appearance & Behaviour > Apperance > Override default fonts by. Here you can change the font and the font size. PhpStorm/WebStorm: Is there way to adjust the font letter spacing? How to change the blue foreground color of text in PHPStorm? 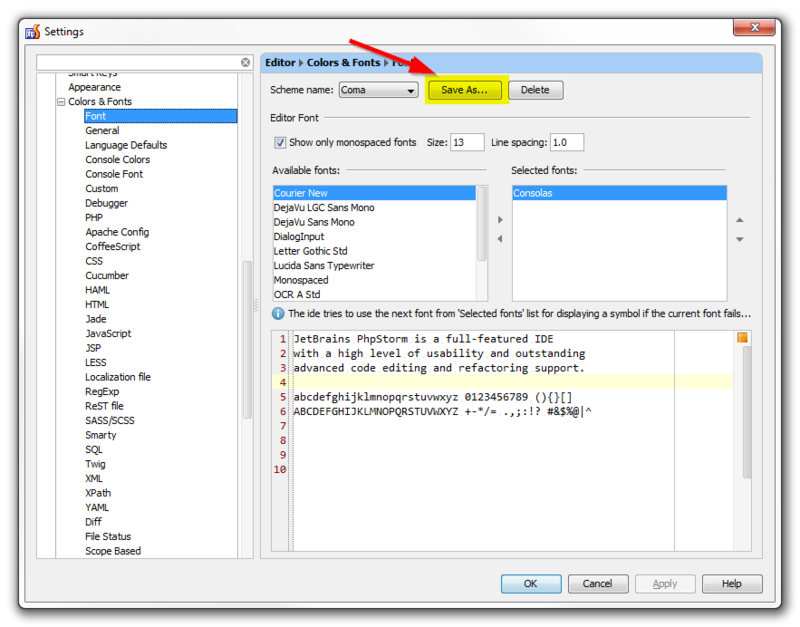 What should my file watcher settings be for phpstorm?